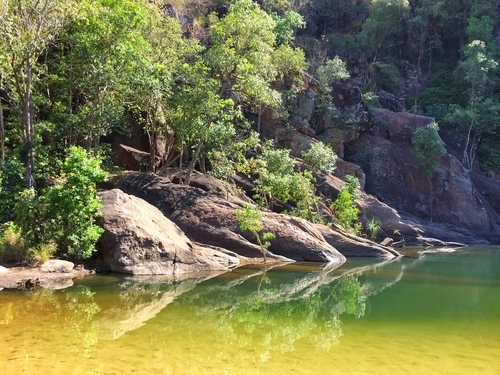 Experience Kakadu, Arnhem Land and Katherine on this small group tour. 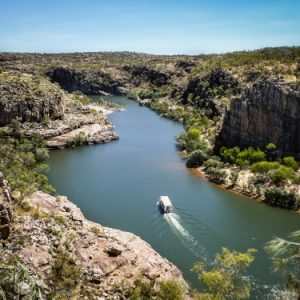 The 4 Day Kakadu Small Group Eco Tour is designed for those who are after a bit more comfort whilst still getting off road and experiencing more of the Northern Territory. 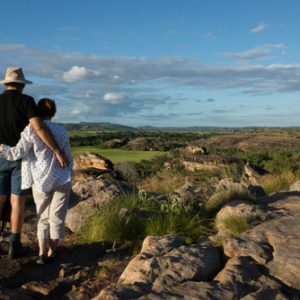 You will stay in comfort at Hawk Dreaming Wilderness Lodge, Anbinik Kakadu and Cicada Lodge. 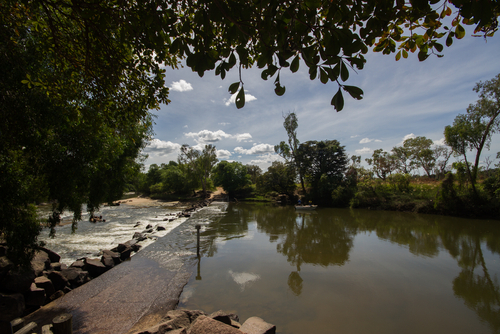 We begin our 4 Day Kakadu Small Group Eco Tour heading down the Arnhem Highway towards Kakadu National Park. 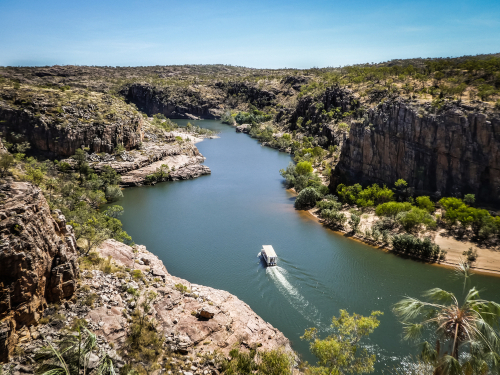 Kakadu National Park is Australia’s largest National Park and home to Aboriginal people for over 65,000 years. 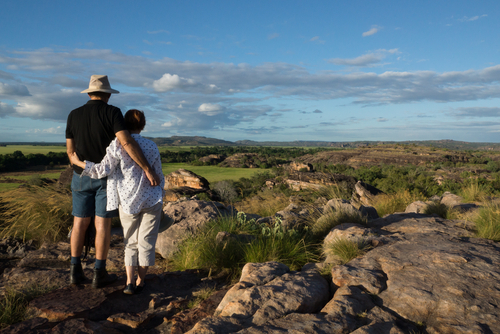 We make our way out to Ubirr Rock Art Site situated in the northern part of Kakadu. Here we take a journey back in time as we view the ancient rock art that lead us to Nadab Lookout overlooking the floodplains. Traditionally people camped beneath Ubirr’s rocky shelters and used the plants and animals nearby for food, tools and medicine. With much of the art featuring fish, turtles, goanna and other important animals, it is considered among the best in the world, with great examples of X-ray art and contact art from the time when Aboriginal people first encountered Europeans. This afternoon we begin the journey back towards Darwin. 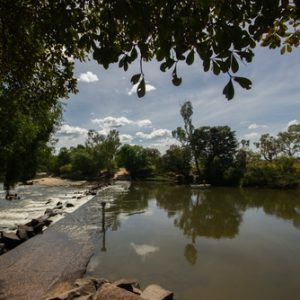 We stop along the way to visit Edith Falls and the Adelaide River War Cemetery, a sobering reminder of the impact World War II had on this part of Australia, before arriving at Darwin in the early evening where we end our 4 Day Kakadu Small Group Eco Tour. 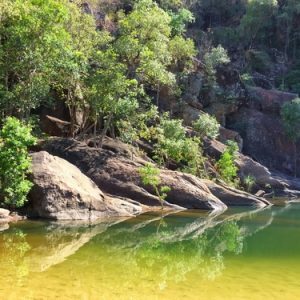 The 4 Day Kakadu Small Group Eco Tour is not suitable for children under 5 years.